I got no problem at all with FXOpen even after their license has been suspended by FSC. Their customer service is still excellent and their MT4 platform is still working well. They even provided me the 10 Lot Bonus in my standard account! Now I do not really care if any authority regulates them or not, since I had previously had problems with brokers who are well regulated in Europe and USA. I think I don’t have to point out who that brokers are as I don’t want traders to say that I am so much in favor with FXOpen while at the same time swearing the other brokers. My friend suggested FXOpen to me and currently l manage an ECN account with them. I have used other brokers before; however, I tell you everything is standard. A click, my order is placed. I know when it comes to concerning big money, FXOpen is recommended but l do not appreciate the rumor that is hard to withdraw from FXOpen. in the meantime, l have it in mind to deposit my two account with big money and because of that l will try to withdraw at the end this month to see for myself before carrying out bigger amount. As that, all our neighborhood brokers are just bucket shops I decided to switch to FXOpen. I have very excellent replies from my friends trading with different companies. I think that world tragedy will wipe out most of brokers and FXOpen looking very strong in the middle of others. Anyway, I start from $5000 and we will see how it will go so far 1 week no any problems. In addition, I want to thanks Russian supporter Nadya form FXOpen for helping me in funding. They impressed me with ECN choice and they able to make market depth software for Meta4 what is really amazing and I can visualize what kind of work it took, my respect to FXOpen. Let me be honest, I have found FXOpen on internet nearly 3 months ago and I deposited total of $15k amount with them. When I got profits and make the money 30k$ , I got pessimist with them. I googled for review of this broker, I all have read was that they are frauds. Then I really got scared. However, I requested a withdraw of $450, first time they ignored the request. They said that you must provide the WebMoney number that you have deposited from. I did correct the number, and Yes they paid me. They are really good, fast deposit, but slower withdraw. Nothing to be scared of, you are safe with FXOpen, trade with honest and you will get your money more honestly. 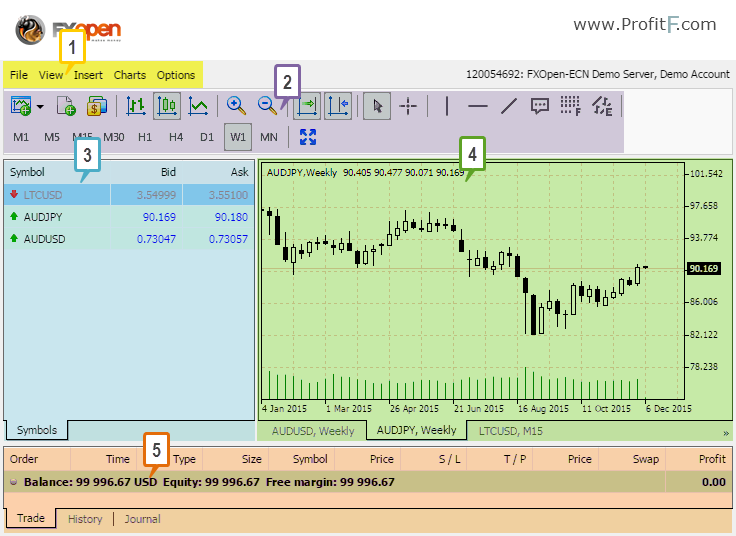 FXOpen has a very good conditions, tight spreads and good overall conditions. 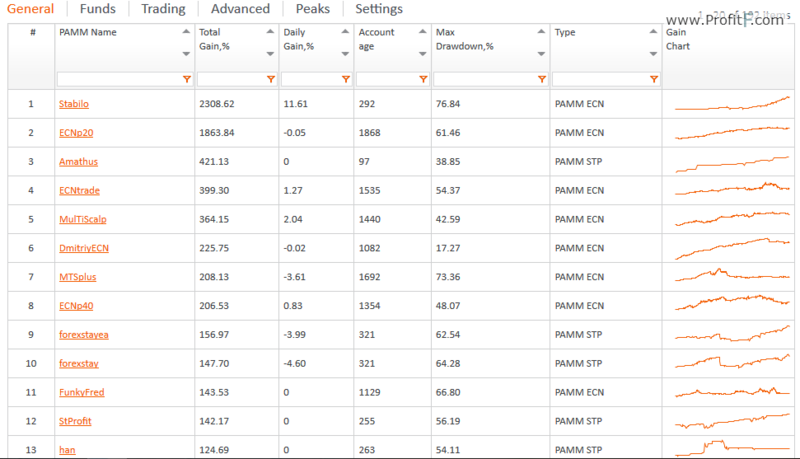 But the more I trade with them, the more I started to doubt about their real STP/ECN. They have some trading restrictions like max deal size at 60 lots (STP ac) and 10 dollars for STP, really? Besides it, there are sometimes platform freezing and only big slippages, all negative. Is a real make such tricks? I think no, so if you want to get real ECN, I can help you with the right choice, add me in skype vovkfx. FxOpen offers four types of accounts to choose from based on the starting deposit balance. Depending on the account type that you choose, the trading conditions differ. Traders should note that scalping and news trading is not allows on the Micro account types. For customers who prefer to invest in a money manager rather than trade themselves, the FxOpen’s PAMM account is the most ideal under these conditions. By opening an FXOpen PAMM account, customers can quickly choose from the various PAMM accounts based on factors such as account growth or returns and drawdown and age of the account. PAMM accounts come in two types, ECN or STP execution. Note that when you choose a PAMM account there are other fees involved which varies from one PAMM account to another. For traders who wish to open a PAMM master account, here is a brief summary of the PAMM account opening conditions. 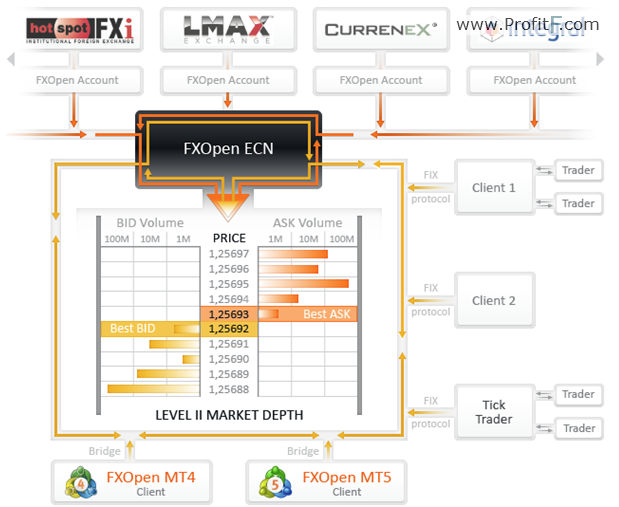 FxOpen offers trading in ECN, STP or Market Maker model. The trading conditions are generally similar with a few exceptions. Trading with FxOpen, all account types can be used for hedging but Micro accounts cannot be used for scalping or news trading. Islamic or Swap free accounts are available on all account types. Traders interested in trading crypto currencies can use the FxOpen Crypto accounts as well, which includes BitCoin and LiteCoin among other crypto currencies. In terms of spreads, FxOpen generally offers tight floating spreads and depending on market liquidity, the spreads can be as low as zero. FxOpen offers trading on the MT4 platform which can be downloaded to Windows, Apple or Linux based operating systems. Depending on the account type that you choose, ECN/STP or Micro, you can trade on the MT4 platform with ease. The FxOpen trading platform comes with over 50+ built in technical indicators as well as offers you the ability to run automated trading strategies or Expert Advisors. The FxOpen trading platform can also be used on mobile smart phone devices with dedicated apps free to download. Trading platform can also be accessed directly from a browser as well. Customers can deposit their funds to FxOpen using a lot of options. The deposit options include bank WIRE transfers, credit/debit cards and e-Wallet payment options such as Webmoney, Neteller, Skrill, Payza, Perfect Money and QIWI Wallet. Cyrpto currency enthusiasts can also deposit using Bitcoin, LiteCoin or NameCoin. Now, everything seems OK with FxOpen broker however “ProfitF team” will keep monitoring this broker and update this review if any changes take place.